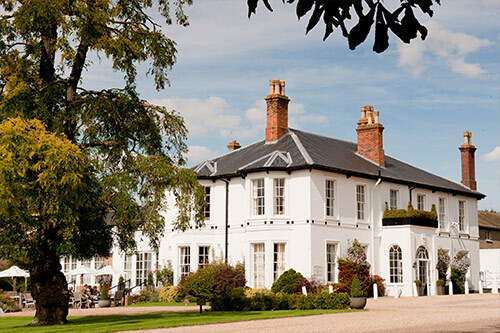 The only 4 Red Star hotel in Newmarket, Bedford Lodge Hotel & Spa retains the charm and character of a country house yet offers the very best in modern comfort and luxury. This luxury hotel provides the perfect blend of old and new in a beautiful country setting. If you’re looking for a hotel close to Cambridge or Bury St Edmunds – look no further! Set in three acres of secluded gardens and adjacent to some of the most famous paddocks and training stables in the world, it really is a memorable place to hold any event. 2. What does a typical week look like here? There is no typical week at Bedford Lodge Hotel & Spa, each week brings so much variety! We are busy year-round with conferences and meetings. We have seven meeting rooms in total with the addition of our new Mews space which caters for a small meetings and intimate dinners. In summer months we are busy with guests who want to enjoy our picturesque gardens and bask in the sunshine. Most of our weddings take place in the summer and last summer we launched our new Picnic On The Lawn dining experience which was incredibly popular. We are also perfectly situated next to Newmarket Racecourse which attracts racegoers from near and far who want to enjoy a fun day out. In Winter months we have a lot of guests at the hotel who may be visiting friends or family over the Christmas period and are exploring the local area. Newmarket is perfectly situated for this as we are nestled between the historic town of Bury St Edmunds and beautiful Cambridge, so our guests are never stuck for options! 3. What are the top attributes of the venue? Located in the heart of Newmarket which is easily accessible from London with a short train journey or by car with plenty of parking available on site. 4. What does Bedford Lodge Hotel offer different to other establishments? We are the only four red star hotel in the area. The four AA Red Stars accolade is one of the highest on offer within the hospitality industry and, committed to guaranteeing guest satisfaction. Red Stars, as opposed to Black Stars, indicate hotels which represent the most outstanding offering in each star category. In order to retain the four Red Stars, Bedford Lodge Hotel & Spa was required to demonstrate excellent quality service and standards across all areas of the business. 5. What has been the most significant change in the industry that has had a positive impact on the venue and what it can offer to clients? Over the last five years we’ve seen an increase in digital facilities. Now more than ever conferences are going online during presentations or using gotowebinars to include international members of the team. Bedford Lodge Hotel has invested into fibreoptic broadband to ensure the fastest internet to our guests. Providing a reliable internet service may sound like an easy task but its more difficult when you have a high volume of people connected to one point. 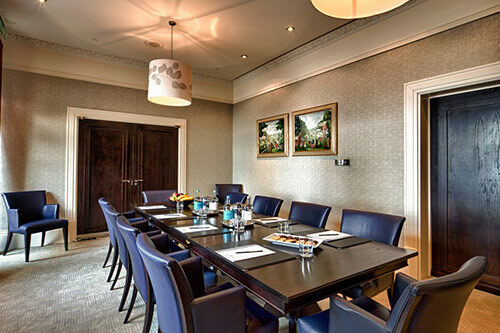 We have also invested in a Bose sound system which provides surround sound for meetings and our music concierge system allows guests to put together specific playlists. 6. What atmosphere does Bedford Lodge Hotel have? The hotel has a warm and vibrant atmosphere. Our staff are always on hand and welcoming towards any guests which makes it have a homely feel. 7. What is your favourite team building event? We recently participated in a miniature crystal maze experience which was great fun and the teams worked really well together. 1. How much corporate space is there – conference rooms, offices etc? 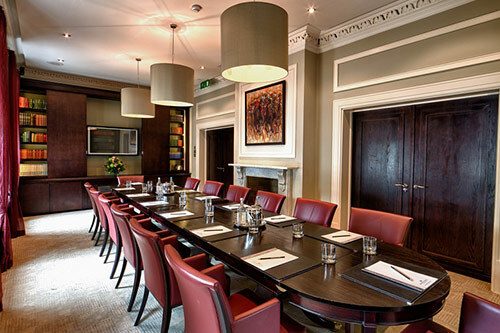 Bedford Lodge Hotel & Spa is also the ideal location for business meetings with 7 state-of-the-art conference and events rooms accommodating up to 190. Whatever your reason for visiting, you can be assured of an exceptional experience. 2. Do you offer catering facilities? Yes, we have a selection of onsite catering options available to guests. 3. Is there space for outdoor team building activities? Yes, we have a private garden located at the rear of the hotel which is perfect for outdoor team building activities. 4. Is there Wi-Fi? Yes, we offer Wi-Fi throughout our hotel to all guests. 5. Is there parking available on site? Yes, we have a large car park for guests.